Unique air freshener utilizes a special wicking action. No batteries or power outlets necessary. Lasts up to six weeks. Discrete glass container looks great in any room. This air freshener is a great way to keep your rooms and offices smelling great, and do so without the need for batteries or electrical outlets. 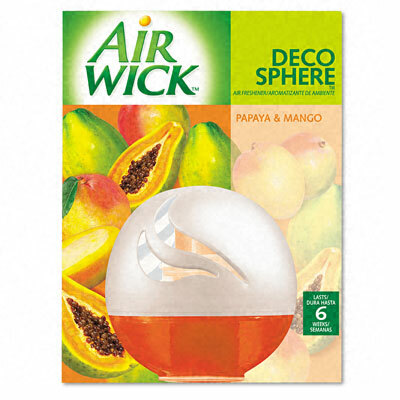 The unique design of this air freshener utilizes a special wicking action to continually lift and diffuse the fragrance. You won't have to worry about continually changing the freshener--it lasts up to six weeks. The discrete glass container and adjustable cover looks great in any room.